Even as much as I love working out, and I really find it to be a soothing and freeing experience, with the semester progressing and the workload for all my classes piling up, I find it a struggle to get to the gym, or find enough time to get the workout that I’d really hope to get. ALSO the weather has been very unfavorable (tomorrow morning’s weather report is showing less than ten degrees WITH WINDCHILL), making the trek from my dorm to the gym very undesirable. Honestly, I find myself more and more wanting to stay in and consume as much food as my cabinets can hold. Which I will admit, I have done more often than not this semester…. HOWEVER, I know this is simply detour in my journey and I hope by voicing it on here that I will start to get back on track! Gotta stay positive and motivated! I mean, spring break and summer are quickly approaching. My beloved beach cruiser (left) on one of my many bike trail adventures. RUNNING OUSIDE. There is nothing like running outside on a beautifully sunny spring day (ideally with a slight breeze). With a park with a great variety of running and fitness trails located within minutes from my house, I spend a lot of time there when the weather is warm. BIKING. I love biking, more so for leisurely fun than intensive exercise. 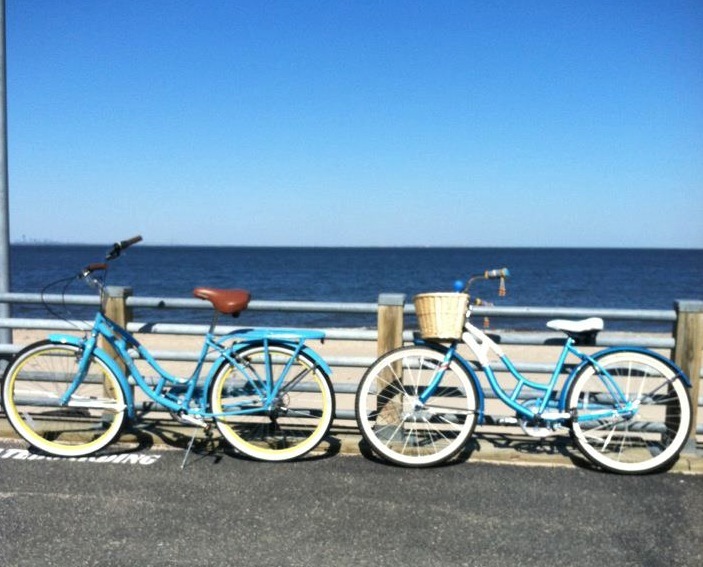 On spring and summer mornings, my best friend and I will ride on the 30 mile bike trail that ends at the beach. Conveniently, our favorite ice cream place is located right off the trail, and after biking 30 miles, I feel much less guilty about eating my vanilla soft serve with rainbow sprinkles! What are some of the ways you stay motivated? What can’t you look forward too about the summer? Reply in the comments!